Sometimes it can be hard to find exercises that both you and your significant other likes to do. Some people decide to work out by themselves instead of enjoying the company of their spouse. However, it’s been proven that if you work out with your partner, you’ll see an improvement in your relationship. Since many exercises focus on trust, teamwork, and communication skills, you’ll utilize and work the underlying building blocks of any relationship. Ultimately, though the end result can leave you too exhausted to notice the relationship changes that took place. But what are some exercises a couple can do together? Yoga is the perfect exercise to do alone, with your kids, and even with your significant other. Some yoga classes are even specifically for couples, and thus poses can be performed together like the double downward dog. These poses allow individuals to stretch their entire body while retaining mental composure. In fact, some people benefit more from learning about the mental aspects of yoga than the actual exercise. However, yoga is an excellent calorie burner within thirty minutes a person can burn up to 150 calories depending on their intensity. Therefore, if you and your partner want to experience a tremendous mental and physical exercise, why not try yoga? Some people dislike the thought of running but running with your significant other may not be so bad. In fact, you can keep a comfortable speed throughout the run, so you can continue a conversation. Also, running is known to burn numerous calories. In just thirty minutes an individual can burn up to 400 calories depending on speed and intensity. Therefore, running with your spouse offers both physical exercise and a way to communicate your feelings about a specific matter or subject. 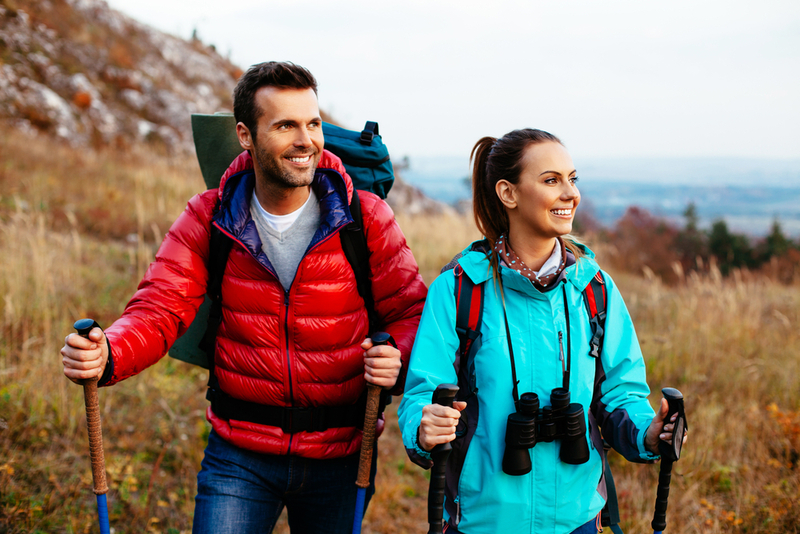 Hiking is the perfect workout for couples who have varying fitness levels. You can choose a path that’s easy to navigate or one that’s difficult to maneuver through depending on what type of workout you’re looking for. Unlike other workouts, with hiking you can set your own pace, and thus hiking is more achievable because of its flexibility. Also, hiking guarantees a high-calorie burn, in fact, within thirty minutes you and your significant other can burn up to 230 calories. Therefore, hiking is not only flexible to any fitness type but also promises a high-calorie to burn. Most couples who want to work out together forget about trying tennis or doubles tennis. Not only is playing a game against your friends’ fun but it also guarantees you a workout. When you play a game of tennis, you’ll work out your arms, legs, and your core. In fact, tennis is a fantastic cardio workout that will give both you and your significant other a high-calorie burn. Within just thirty minutes, depending on your speed and intensity you can burn up to 300 calories. Therefore, tennis is an excellent opportunity to not only workout but be social among your spouse as well as your friends. Going for a bike ride with your spouse can be a great adventure. In fact, cycling is not only great for a relationship but also for your heart health. Due to cycling low-impact nature, it’s the perfect exercise since it doesn’t provide the heart or body with any unnecessary bruising. Also, cycling is versatile for any fitness level. Cycling is additionally a great source for burning calories within thirty minutes an individual can burn at least 245 calories. Therefore, cycling not only allows you and your significant other to communicate with each other but also provides a great source of physical activity. Going to a dance class is not only romantic but also provides you and your spouse with a chance to work out. When your dancing to different styles of music you’ll likely be distracted from thinking about working out. However, while you’re swinging your hips, and moving to the beat, you’ll be stretching your muscles, as well as, using different muscles groups to dance. Also, dancing provides a high-calorie burn, in fact, within just thirty minutes you can burn up to 235 calories. Therefore, going to a dance class not only provides you and your significant other time to bond but also guarantees you a workout. Some people love to swim in a swimming pool, lake, or even the ocean. Wherever you swim, it might be a good idea to bring your significant other along for the ride. 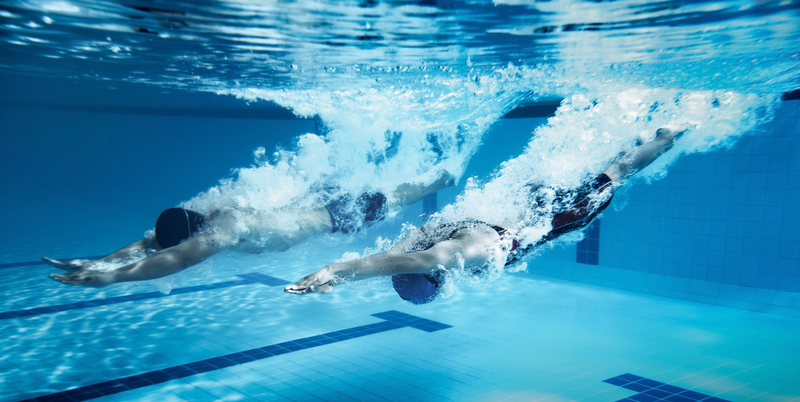 Swimming is the ideal exercise for couples. Due to its low-impact nature, you and your spouse can work out without damage to your body. Most couples who swim together try mixing it up every once in a while, and race each other or compete with one another in some way. Competing against one another will maximize your full potential in the water as well as increase your sportsmanship towards each other. Therefore, swimming is a great way to exercise with your significant other. Most couples who exercise with each other forget about taking a kickboxing class together. While kickboxing classes are known to be taken alone, they’re also a great way to release emotions. Due to its total body workout, you and your partner can work through your feelings for a situation or event through a kickboxing class. Also, kickboxing guarantees a fantastic calorie burn, in fact, within just thirty minutes you can burn up to 440 calories. However, it’s important that both you and your spouse enjoy the class you find if one of you dislikes the class for one reason try searching for another class. Therefore, kickboxing can be an influential workout for both you and your partner if you want it to be. Canoeing is a perfect way to combine working out with spending time with your significant other. Due to its upper body workout, you and your significant other will experience a great cardio exercise. In fact, canoeing best demonstrates teamwork among you and your partner. Therefore, canoeing allows you to work out while communicating effectively with your spouse.